YOU and I are at the very doors of the fast. Strictly speaking it should no be necessary to explain to Orthodox Christians what the fast is and why it is necessary for man, because the fast is a churchly practice, and every Orthodox person, knowing the Holy Gospels, should recall the words of the Savior which have great significance: If a man neglect to hear the Church, let him be unto thee as a heathen man and a publican (Matt. 18:17), which means that through the sin of not heeding the Church he, as it were, ceases to be an Orthodox Christian. This is clear and simple. However, nowadays life itself shows us that Orthodox Christians frequently consider that they are faithful and devoted children of the Church while yet regarding the fast in an unchurchly and un-Orthodox way, and that it is just something that the ministers of the Church have to speak about and bring to remembrance. Before all else, beloved ones, recognize and firmly bear in mind that the fast was not established by some individual minister of the Church, even by one that was a holy God-pleaser and a righteous man. The fast was established by the whole Church; the fast is a church precept. Therefore if we fail to fulfill this precept there should be some over-riding reason for this; if there should be some over-riding reason for this; if there is indeed such a reason in certain circumstances, then the Church is always ready to accommodate this. For instance, if an extremely sick person needs fortifying nourishment for the strengthening of his enfeebled organism, the Church not only permits him to modify the fast, but in certain circumstances frees him from it altogether. Sometimes it happens that someone is found to be in circumstances in which he is deprived of the opportunity of choosing food in accordance with his own discretion; in such restricted circumstances the Church frees us from the obligation of fasting. But unfortunately it happens that we hear people say strange things, such as this: "It's all the same to God what I eat, potatoes or ham!" Of course, the Lord has no needs regarding whether we eat one thing or another, but bear in mind, irrational man, that the fast is not something needful to God, but to you yourself. When the Son of God was incarnate on earth, according to the witness of the holy Gospel, at the beginning of His ministry He himself fasted for forty days and forty nights. And when later the Apostles asked Him why they had been unable to cast out the evil spirit from the possessed youth, the Lord replied: This kind goeth not out (that is, is not expelled) but by prayer and fasting (Matt. 17:21). With these words the Savior places fasting on a par with prayer as the means of overcoming evil, demonic power. Pay careful attention to what you see in this holy church. In it there are [icons of] many choirs of saints who pleased God. And show me in their midst just one, who held such an opinion as is now, unfortunately held by many Orthodox Christians, who assert that the fast is not important, that to God it is all the same what we eat, and that fasting is wholly unnecessary. But, mark the saints who pleased God, whom the Church has glorified, and consequently affirms that their way is the true, righteous and perfect way, - they all fasted, and they fasted to an extent that many of us would probably not have the strength to fast. Show me, I repeat, just one of the saints who pleased God, depicted in the holy icons, who spoke of the fast in the same way as today the “wise ones” do, who consider that their own unhealthy arguments excel the precepts of the Church. 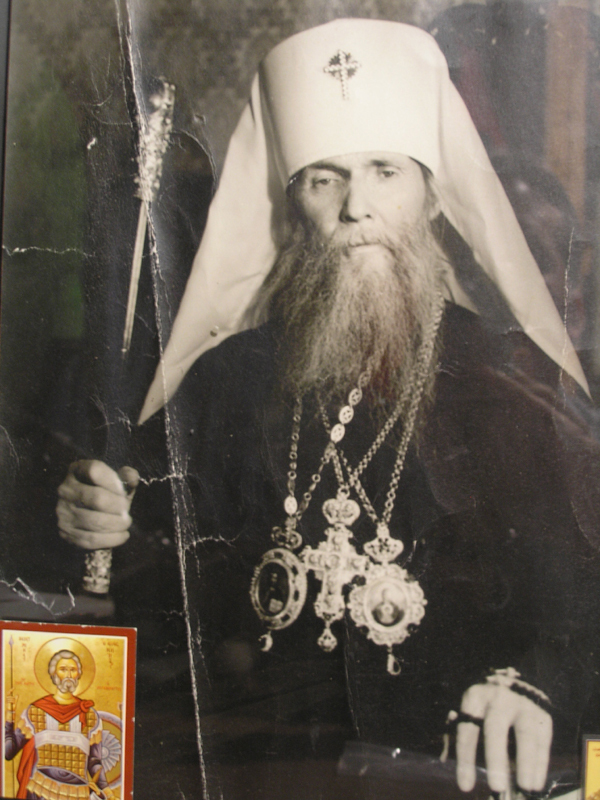 The Venerable Seraphim of Sarov once demonstrated the meaning of the fast exactly. Take this to heart, Christian soul. On this subject, the Venerable Seraphim is an indisputable authority. He did not ever tell anyone to take on those incredible and super-human struggles and labours which he himself took on. He never commanded anyone to do this, but he required of the Christian unfailing obedience to the Church, and he made his teaching concerning the fast in the spirit of that saying of the Saviour regarding obedience to the Church, which we have given above (i.e., Matt. 18:15-17). If someone does not keep the fast, that means he does not hearken to the Church, which has enjoined the fast, and it follows that he ceases to be a son of the Church, he ceases to be an Orthodox Christian. It is impossible to escape this cast-iron logic. Therefore with regard to fasting, once and forever bear in mind that if you wish to be a faithful son of the Orthodox Russian Church, you are bound to keep the fasts. Nowadays they often say: “It is difficult to fast, it isn’t always possible to lay on a fasting meal.” But in my opinion, this is not right. In the circumstances of life in Australia, where I was until recently, and here in America it is simply shameful to say it. It would be better to say straight-forwardly: “We don’t want to fast!” At the very least this would be open, and not another lying excuse. I spent the last years in China. There, there was a literal famine; there, there was appalling need; there at times there was simply nothing to eat at all. There many people were far from eating every day; nonetheless there were people who wanted to keep the fasts, - they fasted and they did not die from hunger. The Venerable Seraphim told someone: “Bread and water never harmed anyone. From fasting not one person has ever died, but from over-indulgence many die.” Simple and wise instruction. Beloved brethren who are listening! You and I are children of the Russian Orthodox Church Abroad, and we must bear in mind that we must distinguish ourselves from the people who are not Orthodox among whom we find ourselves. Once the Apostle Paul wrote to the Christians in the town of Philippi, praising them that they shine as lights in the world (Phil.2:16), in the midst of that pagan darkness which surrounded them. And how clear would the beauty and power of our Orthodox Church be, if her children were in all things and always strict in their adherence to her precepts, and especially with regarding to fasting. This always makes a great impression upon the non-Orthodox, upon the heterodox. The person who follows his own convictions and ways deserves the respect of all. And so, I repeat, you and I are at the eve of the fast, and I want to hope that everyone, when he hears the call of the Church, will apply himself to this fast not like disobedient people, but rather like those who are obedient to Church Teaching. And I hope that all of us who are standing here will keep this fast according to the measure of our strength, remembering that he who does not fast will never greet the feast of Christ’s Nativity in the way that one who keeps the church fast does. Amen.